Come off the M27 at junction 11 and follow the signs for Gosport. Continue on the dual carriageway until you come to roundabout, take the left hand turning on the roundabout. You will come to another roundabout, go straight through (second exit) at this roundabout. As you pass the speed camera in the centre reservation, keep in the left hand lane and take the left hand fork signposted to Gosport (Gosport Road). 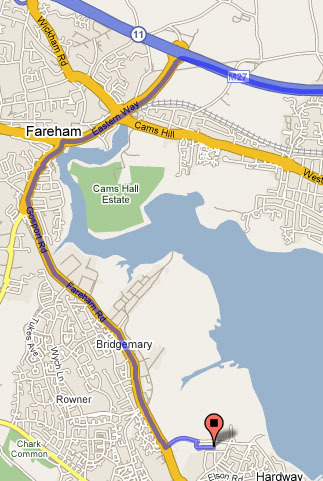 Continue along this road which changes names to Fareham Road. After 4 miles you will come to a set of traffic lights, with Gosport Enterprise Centre on the left. Continue through these lights. After 500 yards you come to a major set of traffic lights with a filter lane to the left. Take the left filter (Heritage Way) and then the next right which is the access to Heritage Business Park. Specialized Fabrications can be found at the end of this Road.